Jagtar Singh Johal was granted bail for the case registered in Faridkot against him under the Unlawful Activities Prevention Act and Arms act. This was announced via a video message by Johal’s lawyer Advocate Jaspal Singh Manjhpur. Others accused in the case were Gurpreet Singh Peet, Jagjeet Singh Jammu, and Taljeet Singh Jimmy. Gurpreet Singh Peet was bailed in the case due to the charge-sheet being filed in an untimely manner. Jagjeet Singh Jammu was granted bail by the high court earlier. On January 15, Faridkot magistrate Chetan Sharma set the bail at 100,000 INR for both Taljeet Singh Jimmy and Jagtar Singh Johal. Bail was granted after the police failed to present the charge-sheet and complete the probe within the stipulated period of 90 days. Taljeet Singh Jimmy has since posted bail. The 6 NIA cases registered against Jimmy had been dropped and he had already been granted bail for the Bagha Purana case. As a result, Jimmy has been released from Sangrur jail. Meanwhile Johal still has the Bagha Purana case pending. In the 6 NIA cases also registered against Johal the supreme court has stayed proceedings for now. The NIA is attempting to have Johal transferred to Tihar jail in New Delhi. 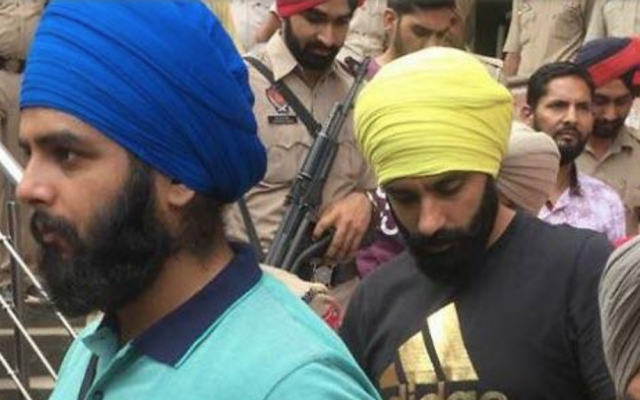 While it is good news that Johal has been granted bail in the Fairdkot case, until the other 7 cases pending against Johal have been resolved he will remain in custody. While it remains to be seen what the future holds, we believe there will be further progress in these meritless cases being dropped. The tactic to drag out the cases as long as possible without producing evidence or witnesses is running out of steam.